Hope everyone has a great (and safe) 4th of July Weekend! Thanks for the sentiment only we're expecting to get brushed by Hurricane Arthur! The powers that be have moved the Pops Concert and fireworks in Boston back a night to the night before. I don't think it's happened previously! We're at our beach house but don't expect anything serious. It's far enough offshore to give us gusty winds, heavy surf and lots of rain!! It should be gone by Saturday! Oh, by the way, have a happy, safe, dry Fourth!! 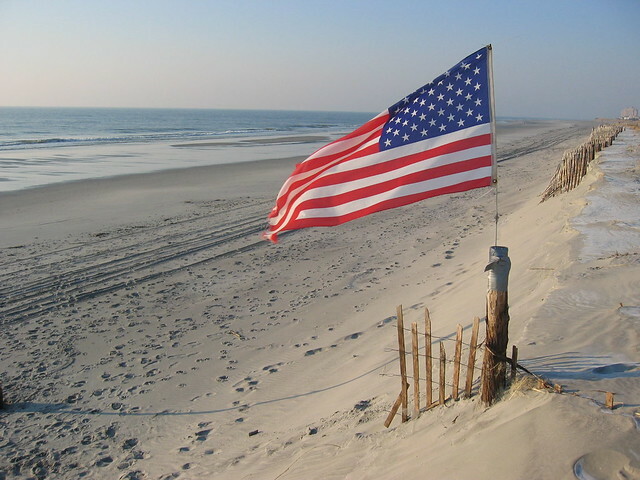 To all my American friends here on the Aruba bb, a very Happy Fourth of July. Stay safe, be thankful, play nice and have fun. Glenn, I know what they call July 4th, 2014 in Canada ...Friday!!! This started with our daughter-in-law visiting family in Ireland last Thanksgiving. She sent us a note wishing us good wishes on Thanksgiving, "Or as they call it over here, Thursday!" Hope everyone had a great (and dry) 4th of July weekend! I feel like summer is zipping right by again. It always seems to go so fast. It looks like you will get another blast of Arctic air over the next few days! Here in the desert it is our usual heat with almost no humidity! Can't complain too much. After 7 inches of rain on the 4th, we've had a good stretch of weather. Forecast is for unsettled for most of the week, hopefully improving by the end of the week. Yes, it seems that when the 4th passes, summer just leaps by and Labor Day is on us before we know it! It has been hot (and dry) here so I really don't mind a blast of cool air for a couple of days. We'll be back in the 80's again by mid-week. Weather-wise, it has been a great summer so far.